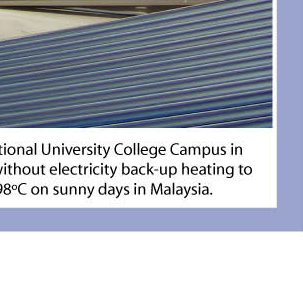 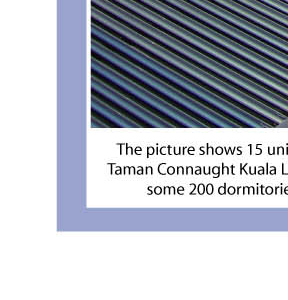 36 units Microsolar M60VTHE installed at a University at Taman Taynton Kuala Lumpur, Malaysia. 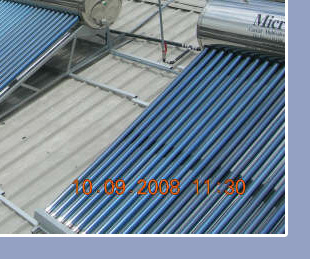 UNIVERSITIES GOING GREEN WITH MICROSOLAR SOLAR HEATERS The recent introduction of the world’s highest efficiency solar water heater, the Microsolar Coaxial Multivalve in a University in Kuala Lumpur Malaysia recently showcased the extent to which efficient multivalve solar thermal collectors are now taking over completely from the previous inefficient forms of heating by electricity or gas or diesel fuel. 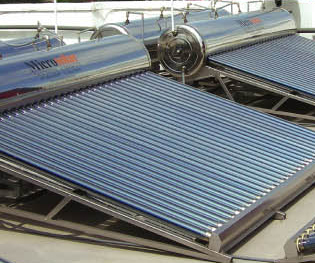 In this instance all the hot water needs of the dormitories for more than 350 students are provided by 36 units of the high performance solar heater, effectively eliminating the electricity bills. 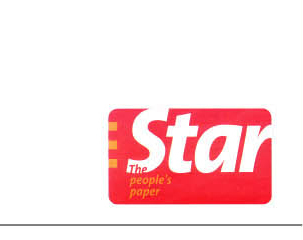 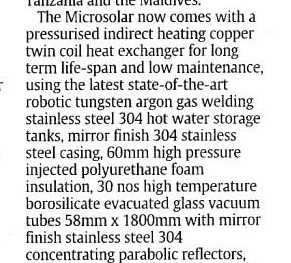 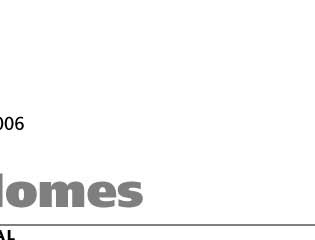 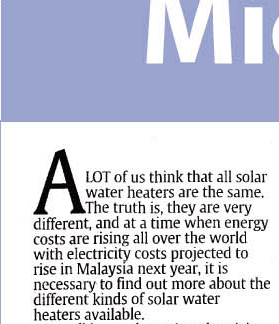 The Malaysian designed Microsolar water heater, the world’s highest efficiency solar heater, has amazed users with its high temperatures even under wet, windy and overcast monsoon conditions. 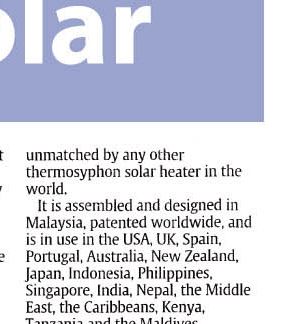 where previously other solar water heaters could not deliver. 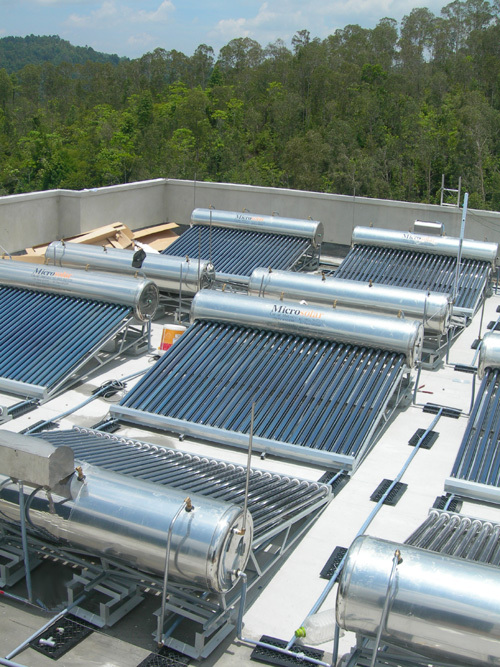 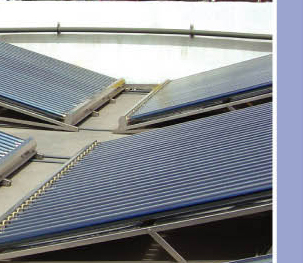 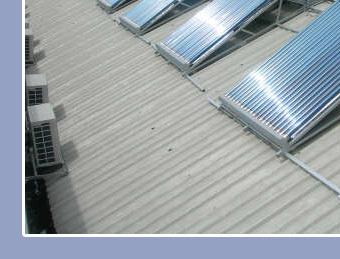 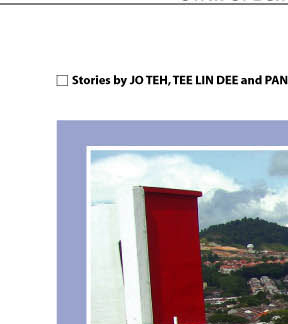 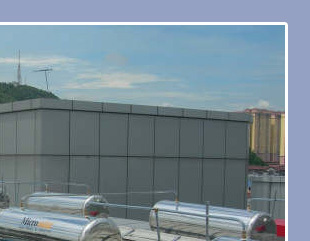 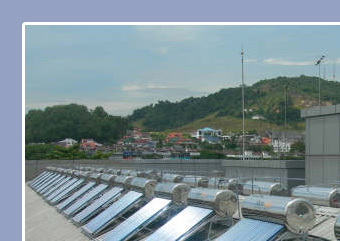 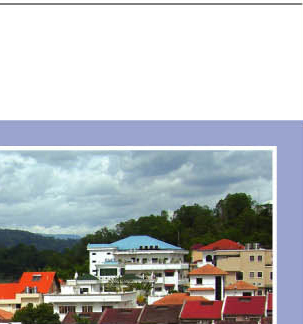 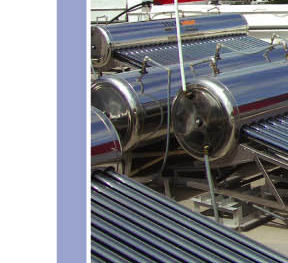 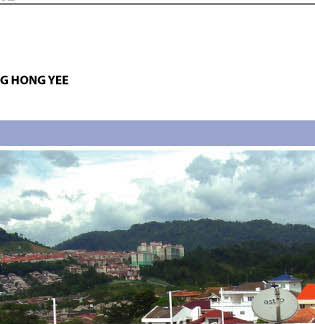 The picture above shows the 36 units Microsolar M60VTHE 264 litres solar water heater installation on the roof at a University in Kuala Lumpur, Malaysia on a sunny day. 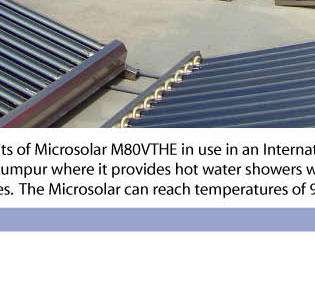 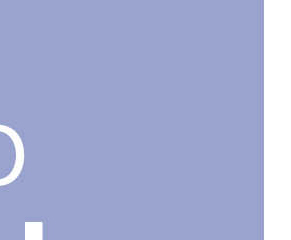 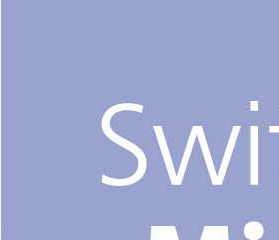 But during the rainy and cloudy monsoon months the Microsolar is still able to provide hot water without electricity backup heating. 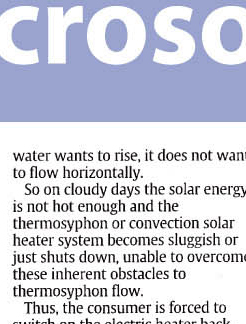 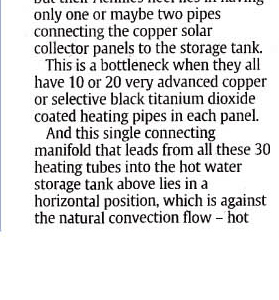 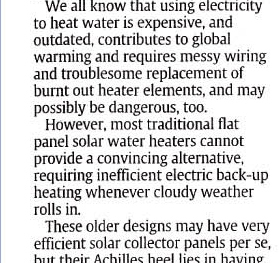 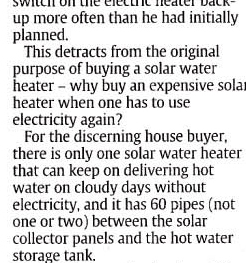 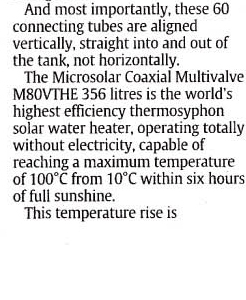 Not many other solar heaters are able to do that. 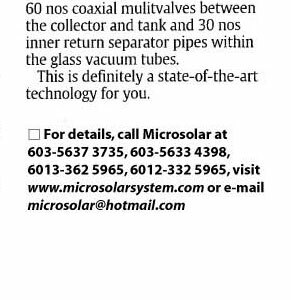 The Microsolar is a stand alone system that does not require any circulation pump or electricity backup heating, contains no chemicals, and is frost free.